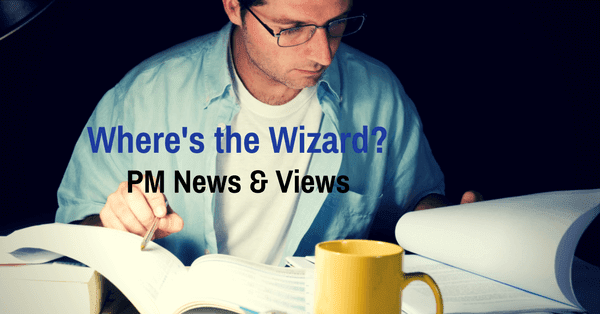 PM News and Views: Where's the Wizard? The movie, The Wizard of Oz, tells the story of a girl and her dog who were picked up by a cyclone and transplanted to the Land of Oz. There she met a scarecrow who wanted a brain, a tin man who wanted a heart, and a lion who wanted courage. The girl, Dorothy, wanted to get home. Then they hear there's a wizard who can give them these things. When they get to the wizard, they discover he is a small man behind a curtain. But, along the way, they have found what they were looking for: they had it inside themselves all along. Training is like that. You know you want to know something and you seek out how to learn it. But, you wouldn't have even known to look if you hadn't had the inkling of the concepts within you. Training helps you discover what you already know. Things are unveiled to you. BrenDaniel provides individualized PMP training, as well as classroom training. Ask us for an assessment of your own or your organization's project management capabilities and needs.